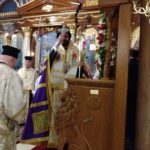 OCL President, George Karcazes and Executive Director, George Matsoukas, along with other members, attended the Enthronement of Metropolitan Nathanael at Annunciation Cathedral in Chicago on Saturday, March 23, 2018, and received the new Metropolitan’s blessing of the congregation. Celebrating the Enthronement of Metropolitan Nathanael at Chicago Hilton. 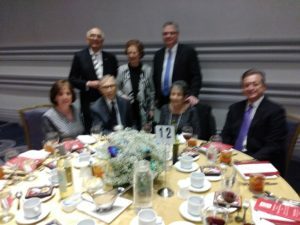 OCL was a sponsor of event and also participated with a table of guests. I’m confused. I thought that the OCL is a pan Orthodox organization. Apparently, that’s not the case given its most recent sponsorship of the events leading up to and including the enthronement of the new GOA Metropolitan of the Midwest. When Bishop Paul of the OCA was enthroned in Chicago following the death of Bishop Job, did OCL support or sponsor his enthronement? Did OCL do anything (purchasing a table to celebrate the occasion etc.) for the enthronement of the new Antiochian Metropolitan following the death of Metropolitan Phillip? If someone can explain this apparent bias towards the GOA, please do so especially for those who contribute to OCL and assume that it represents all jurisdictions of the Orthodox in the U.S. and not the Church of Greece, the Church of Cyprus, the Ecumenical Patriarch in Turkey and the GOA.